French Formula 1 driver Jules Bianchi has died nine months after suffering severe head injuries in a crash at the 2014 Japanese Grand Prix. Marussia, now known as Manor, said the team was "devastated". Bianchi died in hospital near his parents' home in Nice in the south of France. 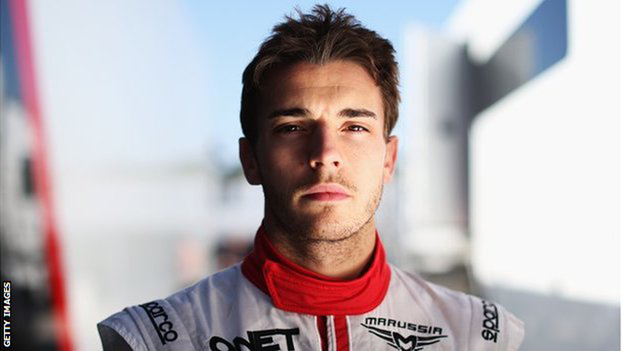 The Manor team tweeted : "We are devastated to lose Jules after such a hard-fought battle. It was a privilege to have him race for our team." 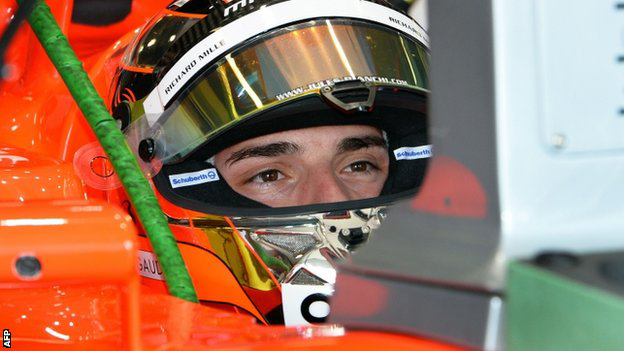 The accident happened when Bianchi's car slid off the track and into a crane picking up German driver Adrian Sutil, who had crashed at the same spot one lap earlier. A working group of the sport's governing body, the FIA, investigated the accident and found that as Bianchi went off the track into the run-off area, he "applied both throttle and brake together, using both feet" over-riding the fail-safe mechanism. His front wheels had also locked. 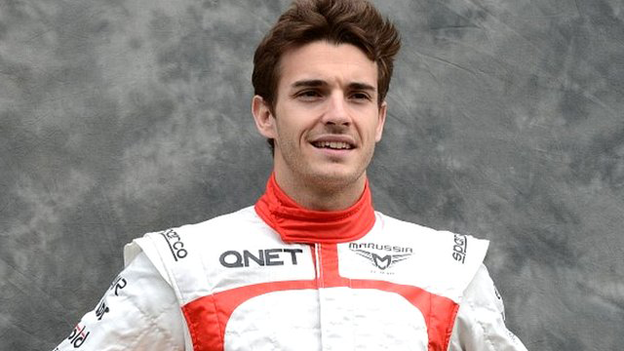 Bianchi is the first F1 driver to die from injuries sustained in a Grand Prix since Brazilian triple world champion Ayrton Senna was killed at Italy's Imola circuit in 1994. "No words can describe what his family & the sport have lost. All I can say it was a pleasure knowing & racing you," tweeted British driver Max Chilton . "Rest in peace dear Jules! We lost a great fighter today. All my thoughts are with you and your family," tweeted endurance racer Andre Lotterer.